Having a dedicated graphics processing unit ( GPU or graphics card ), boosts graphics performance significantly, especially when playing 3d games. Nvidia GPUs are very popular on desktop computers and they work very well on linux, as drivers are available from Nvidia. It is necessary to install the right drivers to ensure proper utilisation GPU. Otherwise the performance would be limited, or totally unused. 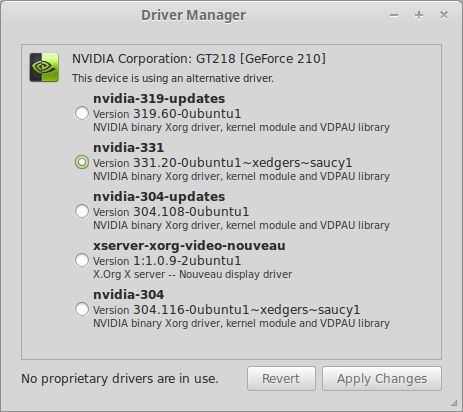 For Nvidia GPUs, the Nouveau driver becomes active by default. Nouveau is the open source driver for Nvidia GPUs. Check it with the lspci command. The last line indicates the kernel driver in use, which is nouveau over here. However with the Nouveau driver the gpu cannot perform to its full potential and features like hardware 3d acceleration would be unavailable or limited. The official nvidia drivers would make the gpu deliver its full performance. It might be interesting to compare the graphics performance with different drivers and to ensure that the gpu is indeed performing well. For this we use 2 little utilities called glmark2 and glxgears. The glxgears command would popup a small window with an animation of rotating gears. It would then print out the fps every 5 seconds on the terminal. Note down the fps, which is around 940 in this case. Next run the glmark2 command, and let it complete all tests and at the end it would show a score. So with the Nouveau drivers, the glmark score is 336 and glxgears max FPS is around 940. Now install the Nvidia proprietory drivers. 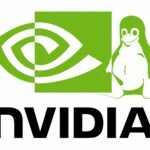 The Nvidia drivers are available in the Ubuntu repositories but they are mostly out of date. The drivers are named like nvidia-331, nvidia-319, nvidia-304 and so on. Each driver supports a different set of graphics card. Check the model of your GPU chipset with the lspci command. The model of the graphics chipset is, NVIDIA Corporation GT218 [GeForce 210]. Now we need to find the right driver for this card. Go to http://www.nvidia.com/Download/index.aspx and select your model and click Search. On the next page, you would get all details about the driver, version, release date, supported chipsets and further information about how to install it. For the above GeForce 210 card, it showed 331.67 as the correct driver which can be downloaded from the website as .bin file. However we shall install the drivers from ppa to make things easier. 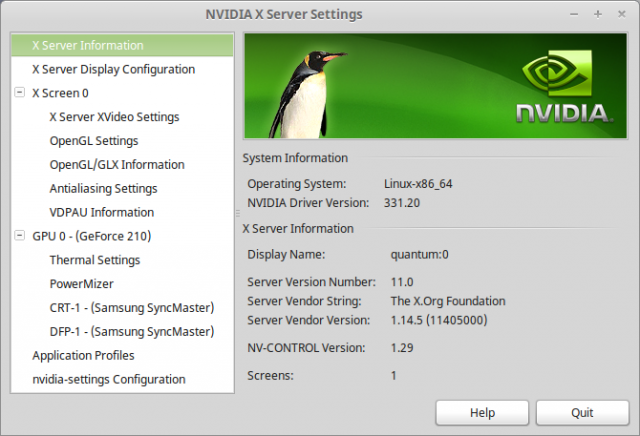 The ubuntu-x-swat ppa provides updated versions of nvidia drivers for ubuntu. If you are looking for the very latest drivers then try another ppa called xorg-edgers. Or open the Synaptic Package manager and search for packages named nvidia. Now that the ppas are setup, we are ready to install the driver. 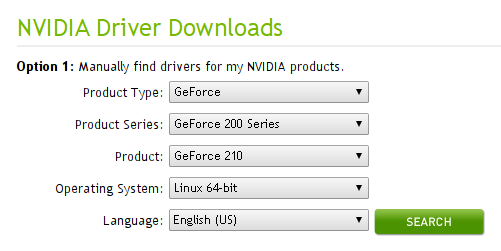 Select the driver (nvidia-331) and click Apply. It would then download the necessary packages for the selected driver, install it and configure it. Once the Driver Manager finishes, restart the machine for the new drivers to take effect. After the reboot, check the graphics driver using the lspci command again. This time it shows the nvidia driver in use. Information about the X driver (nvidia) and OpenGL extensions (GLX Renderer and GLX Version) are mentioned. 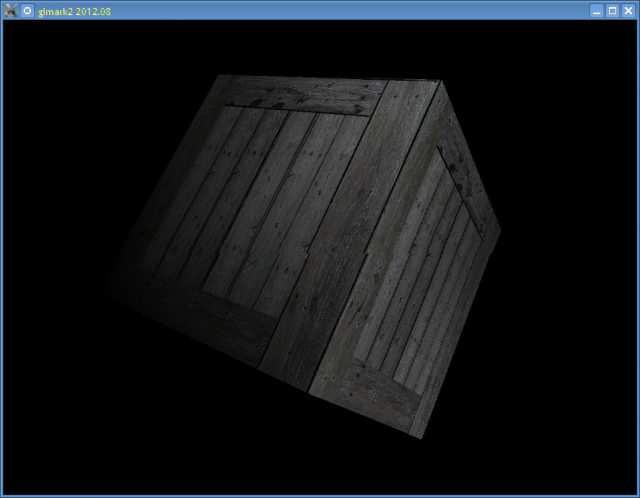 Note that the GLX Renderer is GeForce, which indicates the Nvidia libraries are used for direct rendering. In other words hardware 3d acceleration is enabled, which would make 3d games and applications work very well. 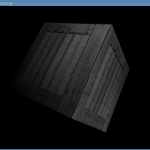 Check the OpenGL configuration with glxinfo command. The output should contain details about the Nvidia driver currently in use. Check the dependencies of glxgears. The libGL line pointing to a nvidia library (nvidia-331 here), indicates that the Nvidia-331 driver is being used for OpenGL. Now that we replaced the Nouveau drivers with Nvidia drivers, its time to benchmark the gpu performance to get a comparison. First run nvidia-settings (or launch from Menu > Administration > Nvidia X Server Settings) and go to OpenGL Settings and uncheck "Sync to VBlank". Note that the FPS is above 3000, which is way higher than what it was with the Nouveau drivers. Run glmark2 and check the score. The score is around 550 which is a lot better than the score of Nouveau drivers. So the nvidia drivers are installed and working perfectly fine. 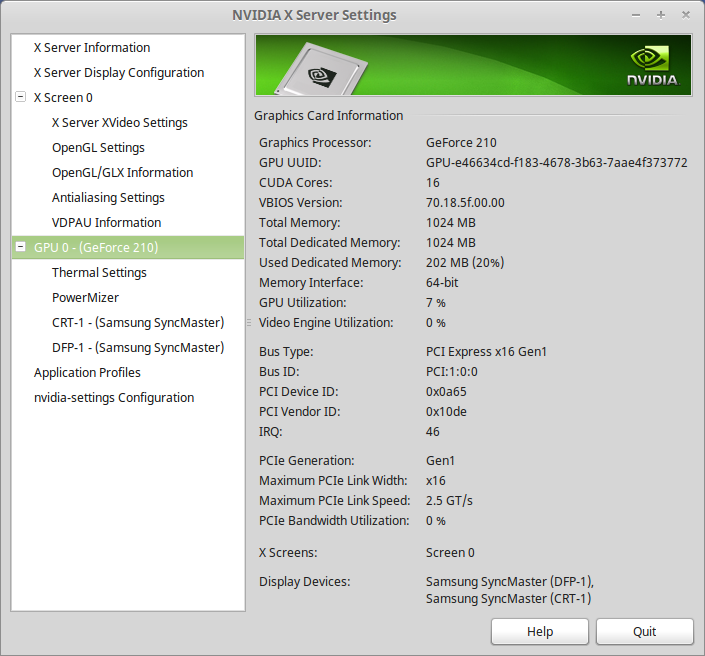 The nvidia driver comes with a gui tool called nvidia-settings, that can be used to configure the displays. Find it in the Administration menu, or run it from command line. To check the hardware information about the GPU, click on GPU 0 on the left. The list of drivers didn’t show up in the driver manager. Yet after I ran the $ aptitude versions ^nvidia command I got a whole list of drivers. The latest driver for my card is apparently version 375.39 but the only driver showing up in the manager is version 367.57 and the nouveau(open-source) driver. * WARNING: Do not use this PPA with enabled HWE stack. Be sure to revert this PPA before doing a release upgrade or the upgrade will not succeed. To revert to official packages, install the ppa-purge package and run “sudo ppa-purge xorg-edgers”. Just installed on Mint 17. even though it was already installed by Mint repository. i just ran those tests with nouveau, 1780fps gears : 340fps glmark2.. and i only have a gt620! custom P5N-D, E8500 4GB DDR3 1333, no OC. Do I need to “unplug” those PPA after driver install? I wish this worked. Unfortunately it doesn’t work with the Ancient 7950GT card doesn’t work with this process. I am using the 304 drivers which are recommended for this card as well. PS. I’m also trying this on Mint 17, which I figured would be the same steps. Fantastic article, learned a lot and really enjoyed it. Normally installing nvidia drivers is bumping around in the dark until it seems to work. Thank You! that’s a wonderful magic spell, but this is linux mint and things need to be easy for kids.